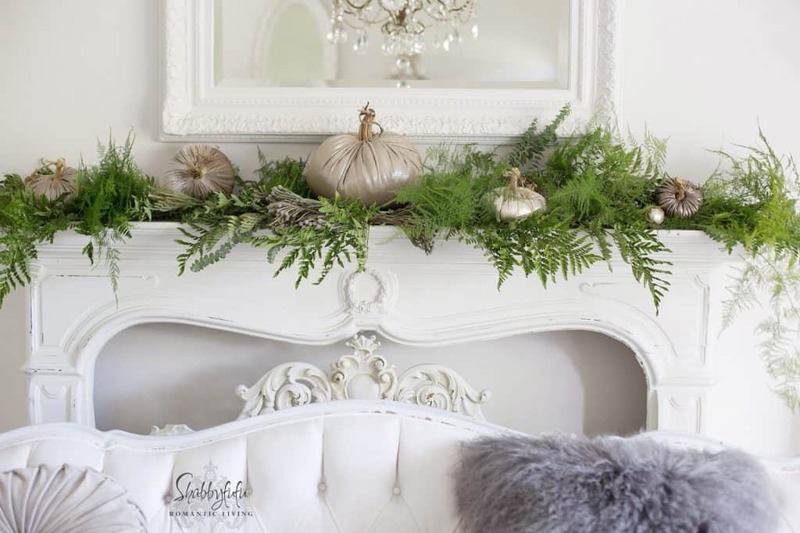 I think that styling a mantel seasonally gives class and can say so much about you and how you view your home. 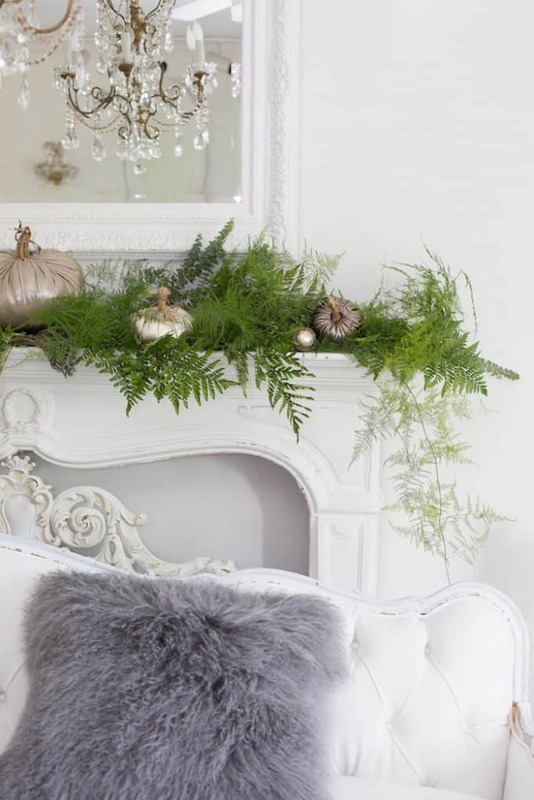 A mantel is generally synonymous with having a fireplace, so it only stands to reason that in autumn you might think COZY thoughts. 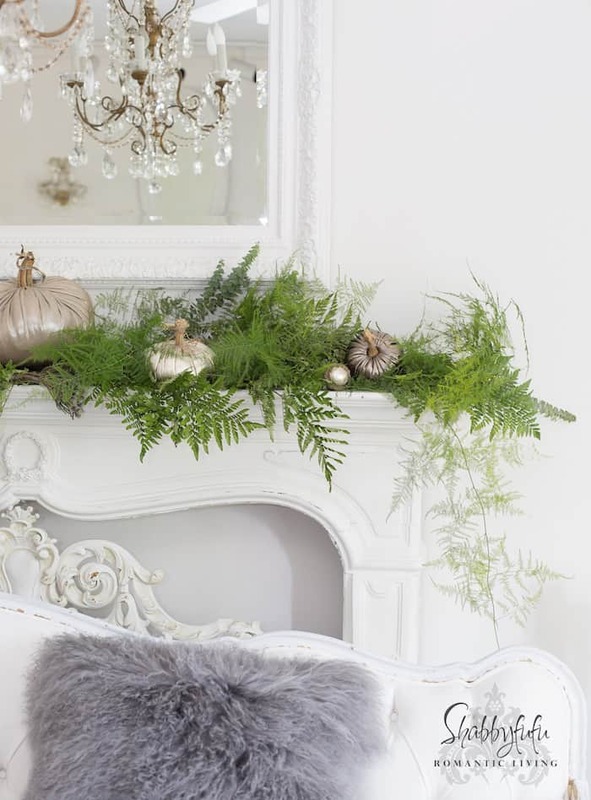 This is fast styling at it’s very fastest and to start I simply removed all of the items from the mantel first. I brought a garbage bag into the living room, scraped up the dry eucalyptus into a pile and then scooped it into the bag. Boom…done in 5 minutes and ready for something fresh! 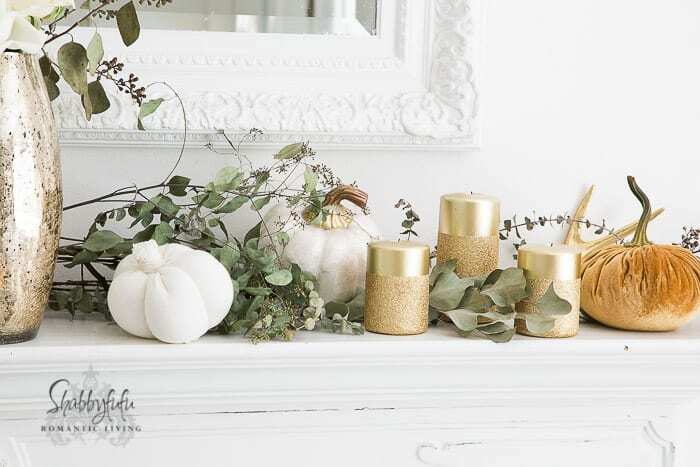 If you look at the post that shows the earlier fall look, I did a shuffle of furniture, which is easy to do with my stone tile floors and again takes no time at all. Have you tried rearranging your furniture lately? Sometimes that is all you need for your home to look fresh and new and it’s not permanent. Try that…what are you waiting for? A pillow swap…and a new grey pillow from my friends over at Nourison that is making the way around our home. For now it’s in the living room and the grey sheepskin has a cozy fall to winter feel. On the mantel I added greenery. 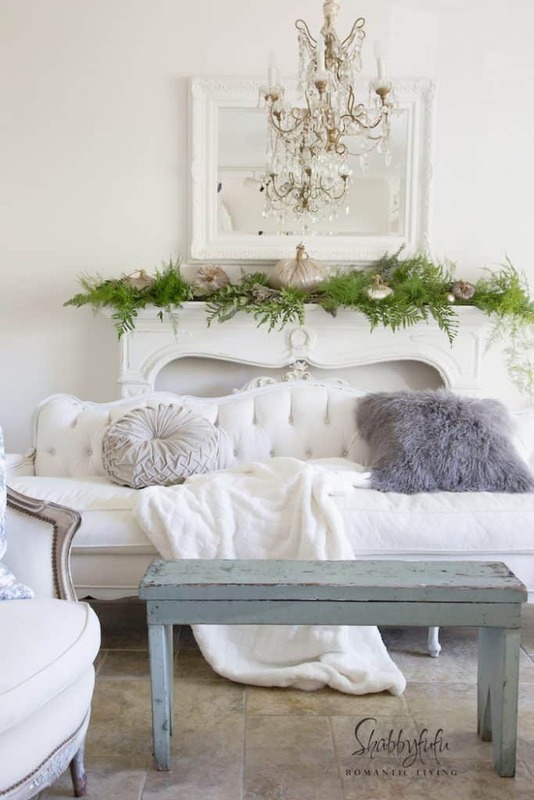 I always treat a mantel just like a bookshelf, so if you are lamenting the fact that you don’t have a mantel of your own…take a shelf and style away! I split my greenery piles in half and start in the middle…with the left side facing left and the right side greenery facing right. 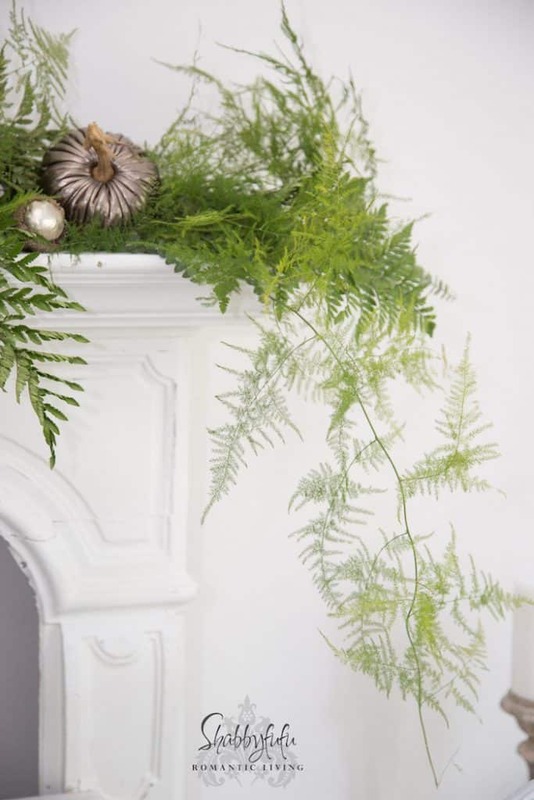 Drape your greens to overlap the stems and to fall gracefully down on either end and in front. Keep the greenery fresh by spritzing with water daily. It should last for a couple of weeks, just like a vase full of flowers would if you care for it properly. 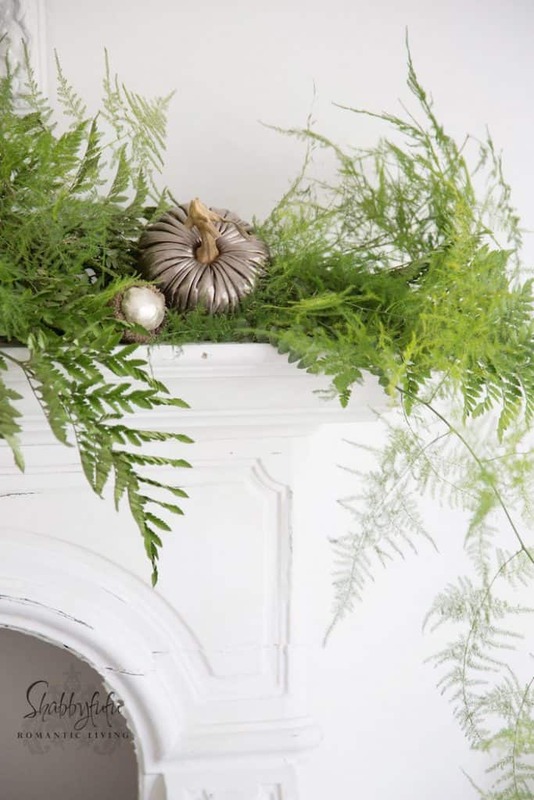 Ferns and fall just seem to go together like cookies and milk. It’s very easy to do something similar and I ALWAYS keep a pair of clippers in my car to snip greenery from the side of the road. In a pinch it works and I use it as filler too. 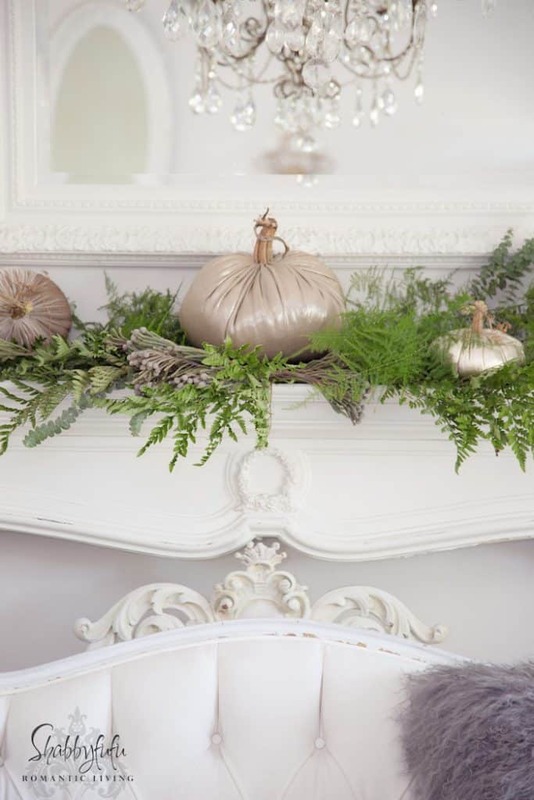 The GORGEOUS pumpkins from my friends at PLUSH PUMPKIN were then mixed in on the mantel and I’ve included a few of their acorns and mushrooms as well. I am completely IN LOVE with these EARTH TONES in Italian Lambskin, Classic Velvet and Italian Linen with real stems and they make them like no one that I’ve found. Delicate maidenhair fern…it’s a favorite of mine and is so lacy and lovely. 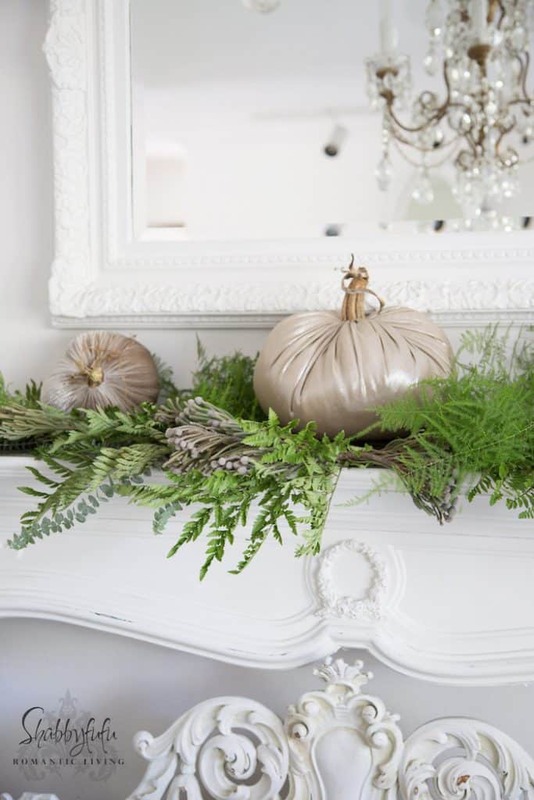 You could easily do a similar look on your shelf or mantel with faux greenery, and of course real honest to goodness pumpkins if you prefer that look. 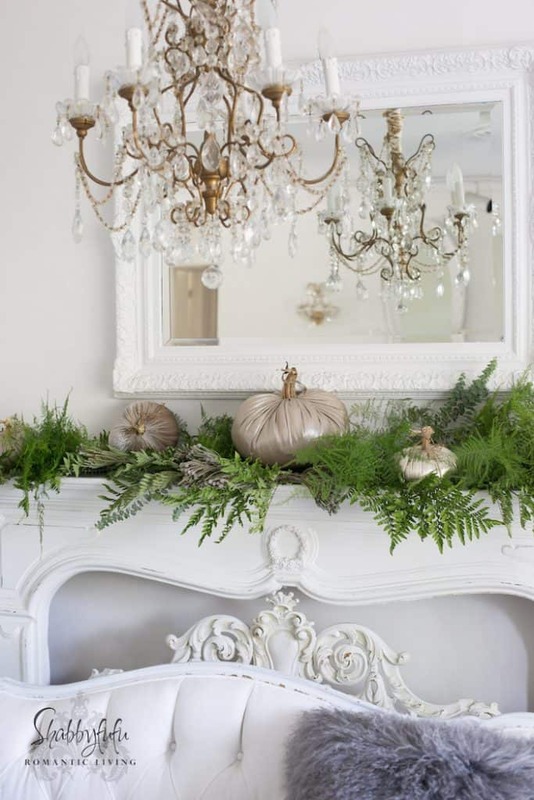 Lay out the greenery first and then mix in your pumpkins sparingly. 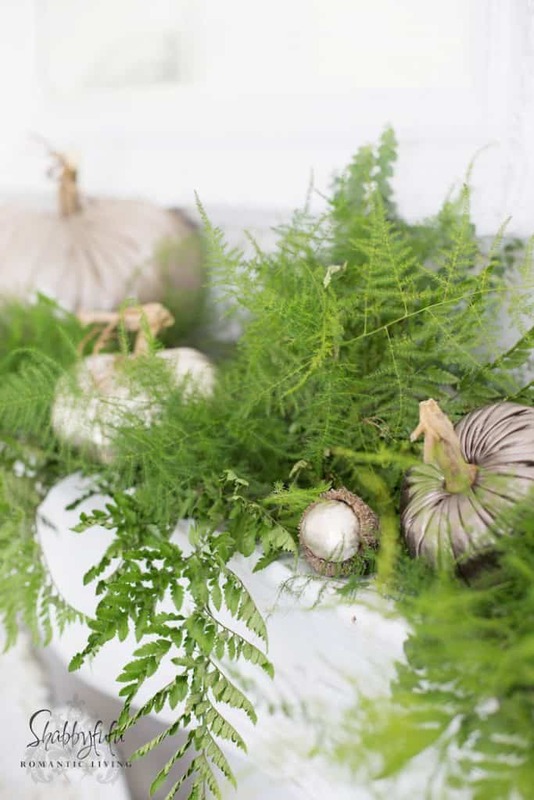 Styling with fresh greenery is so easy and I think it looks great too! 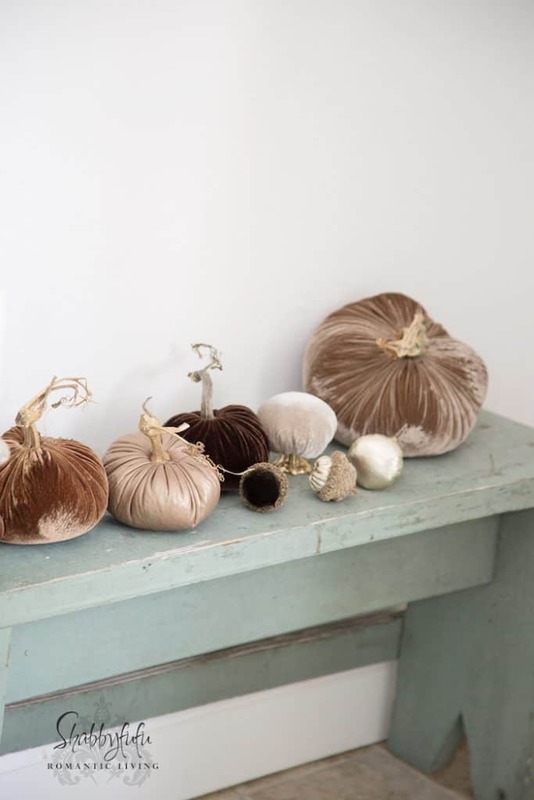 Coming your way…more fall decorating tips and most are just as fast and easy!